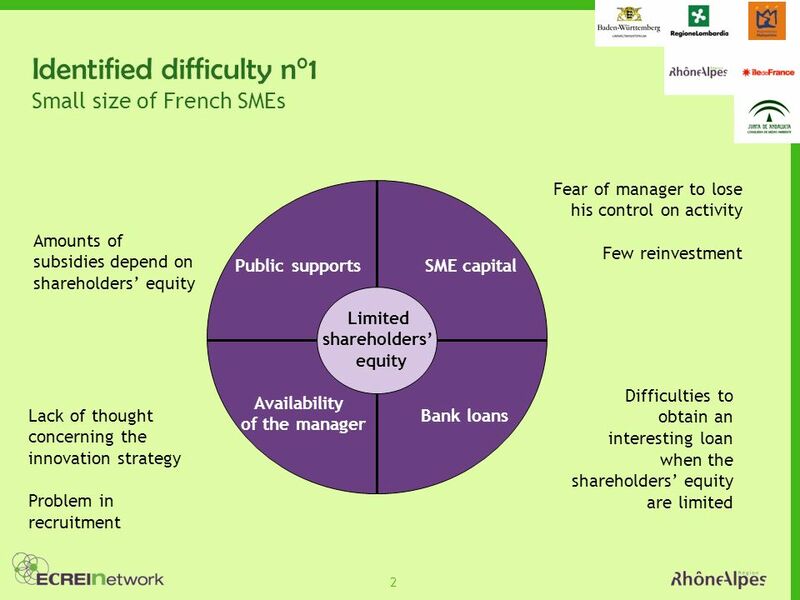 5 5 Working track Review: oMany financial instruments, many providers and available money oNecessity of increasing shareholders equity of SMEs Thoughts: oDevelop shareholders equity Leverage effect for companies which capitalize thanks to shareholders equity oConnect providers and project holders CdC and Rhône-Alpes have made a survey dedicated to SMEs in 2007: Identified drag: bad knowledge among providers and project holders, Strategy: creation of a platform to merge the projects chosen by national clusters, Objective: accelerate the matching between interlocutors. 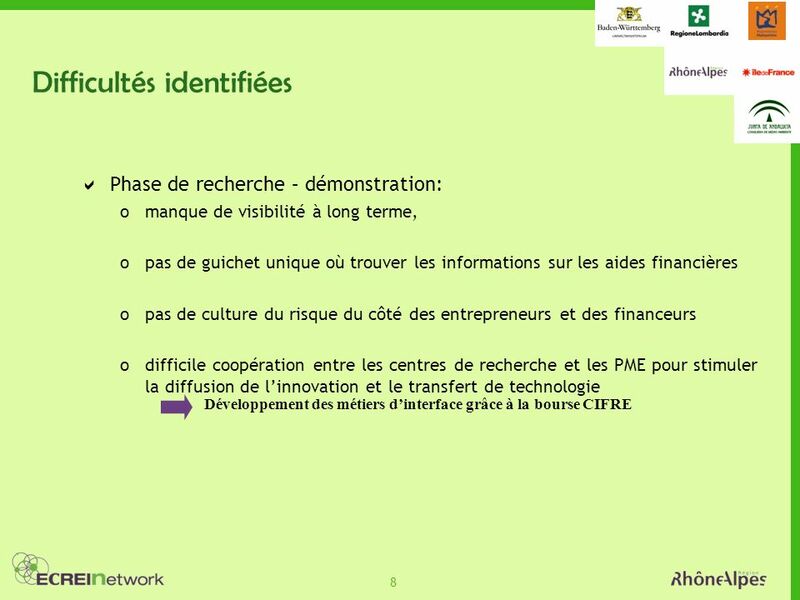 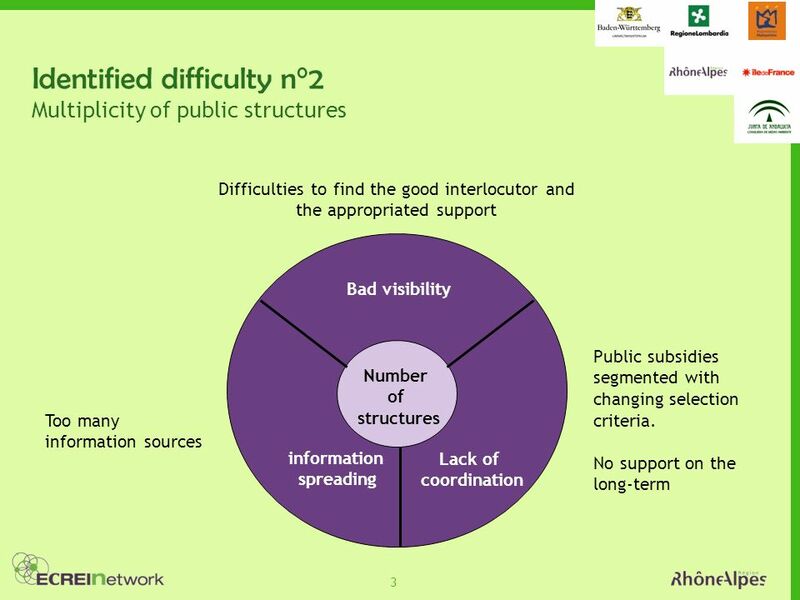 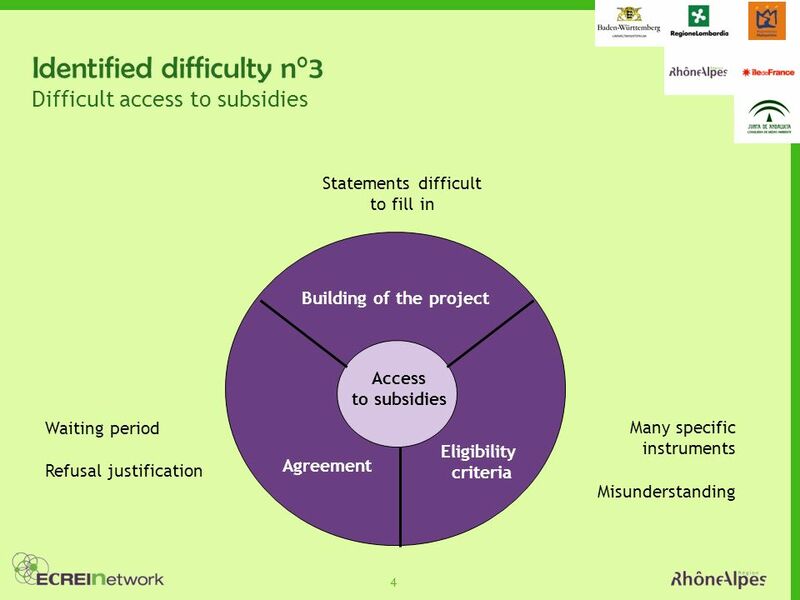 Télécharger ppt "1 Project supported by the European Commission ECREIN Platform in Rhône-Alpes (RA) Analysis of instruments and actions to support eco-innovation and eco-investment." 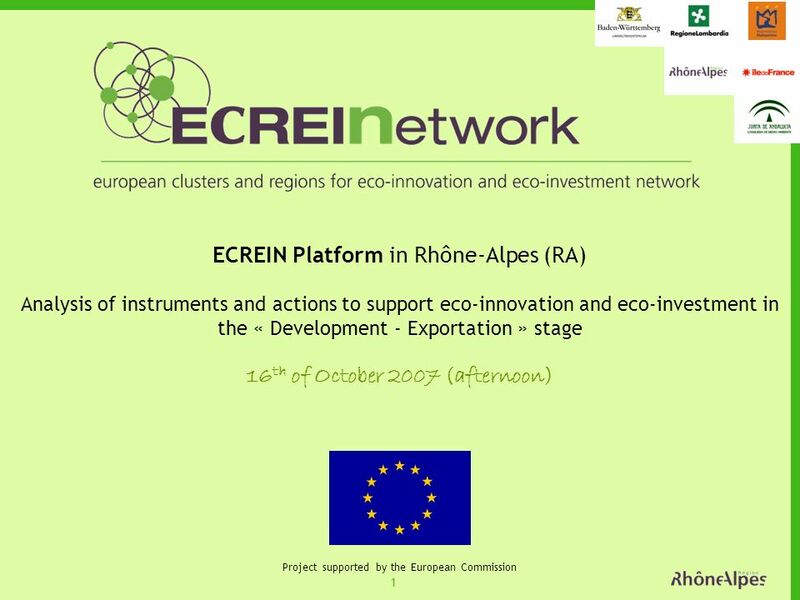 1 Project supported by the European Commission ECREIN Platform in Rhône-Alpes (RA) Inventory of instruments and actions to support eco-innovation and eco-investment. 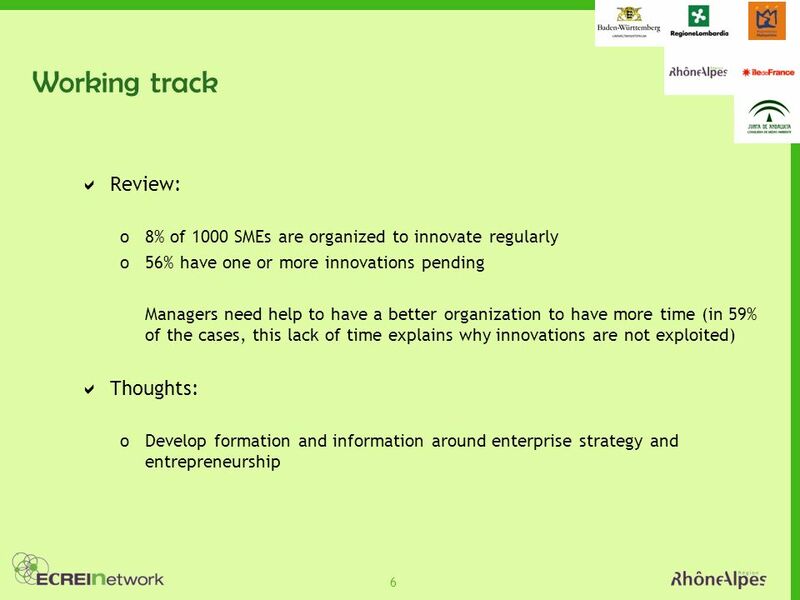 Click to edit Master subtitle style 06/10/ months of nurturing great business ideas Brussels Presentation.